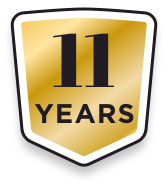 With over 20 years experience in the building trade, we are proud of our varied services we offer. No job too small. Contact for a free estimation. Excellent work so far. Several difficult issues have been resolved by Paul and his family team members, calmly and without fuss. Paul thinks things through carefully and discusses options with us at every stage. Very clean and professional work with minimal disruption to our household. We would definitely recommend PDR without any hesitation. This job turned out to be much bigger than expected, as a much larger area of the rendered wall proved to be unsound. Paul revised his estimate in an open and honest way, and completed the job on time and to a high standard of workmanship. Both Paul and his brother Chris take pride in their work, and several of our neighbours have commented on the excellent finish of Chris' rendering work. Paul also introduced David, a joiner, who repaired the rotten parts of six oak framed windows to an exceptionally high standard. 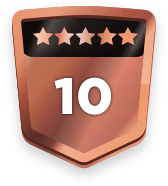 Five stars each for Quality, Value and Reliability are well deserved. 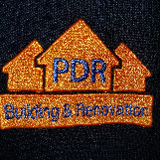 I would not hesitate to ask PDR to undertake any further work I might need doing. Paul and Chris were both honest and reliable. They came into our home and assessed the work that was required and listened to exactly what we wanted (and advised where appropriate). They are very professional and outlined in detail all the stages of the work to be done on a daily basis, which provided us great comfort and managed our expectations. All work was completed on time (with no extra cost) and finished to a high standard. We are happy with Paul/Chris’s work and would definitely recommend them to others as quality/trustworthy builders. Pleasure to work with Paul and his family business from start to finish. Paul's price was very competitive, however the reason we selected him was that we felt very comfortable with him and his brother Chris. They spent time thinking about the job and offering advice. Very happy to leave them with keys of house during project. Job was completed in accordance with plan, with no extra cost, and all works were completed to a high standard. Will certainly use again for any future works and will recommend to friends as a builder you can trust. Paul was brilliant. He asked for lots of detail on the phone beforehand, so he came prepared. He turned up on time, was very polite and friendly and I even felt comfortable leaving him in my house when I went out for a couple of hours. The job took longer and was more complicated than he originally thought, but he stuck to the quote price, AND cleaned my bathroom thoroughly afterwards! I would definitely use him again, as well as recommend to friends. Client happy with works completed, little dispruption made to home whilst working. Job completed to specifications with no problems. Thank you. Paul consistently proved to be reliable, and trust worthy throughout the renovation. Overall, we are happy with his work and would strongly recommend him to others. He carefully explained all steps of the project, and ensured that we made informed decisions. We found that he listened to our concerns and ideas, a quality that we highly valued. He walked off the job after 4 months of a scheduled 7 week project and after paying him over 90% of the amount agreed, leaving us to now find new builders to complete at additional cost. He caused us nothing but stress for 4 months and has walked straight into another job. Untrustworthy and Unreliable, I would not recommend him to my worst enemy !!! Had good working relationship with client throughout the build, until client decided that he did not want to pay for the Â£2000.00 worth of additional works that I had carried out in good faith, i am sure all fellow tradesman would agree that works carried out need to be paid for. The job was left uncompleted as clients refused to have me back on site after i asked them for the additional monies. work would have been completed if client had paid for the works that were done. Agree we did have a good relationship up until around 10 weeks but after 4 months the continual moaning how he had no money left and inability to ever see an end to this project ruined anything positive about this build. We did pay Â£2k of additional costs where changes in original plans were needed or if they realised some unforeseen hidden costs. We have tried to be fair and trusting and have been let down badly...a hard lesson learnt. The final request for more money was the last straw. In addition, Paul has not sent over photos taken of the stages of the build needed to close off with the building inspector's after 2 requests. I can only interpret this as him being obstructive. All work completed met building regulation approval. Would recommend and would probably use again.